Returning to his father’s homeland, Charlie Siem begins 2017 by performing two concerts in Norway at the end of January. Joined once again by his sonata partner, the internationally acclaimed Itamar Golan, Charlie will perform works by Vitali, Beethoven, Grieg, Ysaye, and Ole Bull at both concerts. The first takes place at Bærum Kulturhus on 28 January and the second at the Ålesund Parken Kulturhus on 29 January. Visit the links for full details and tickets. 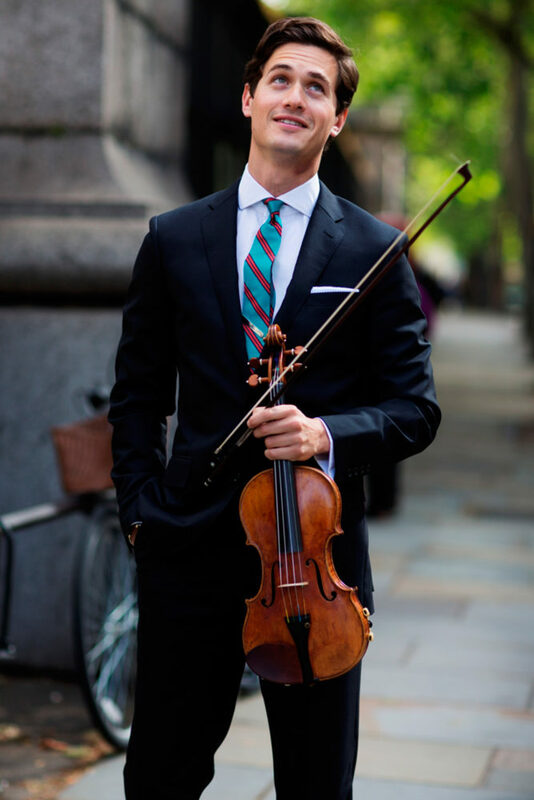 ICA is pleased to welcome British-Norwegian violinist Charlie Siem to its artist roster for General Management (except Greater China). 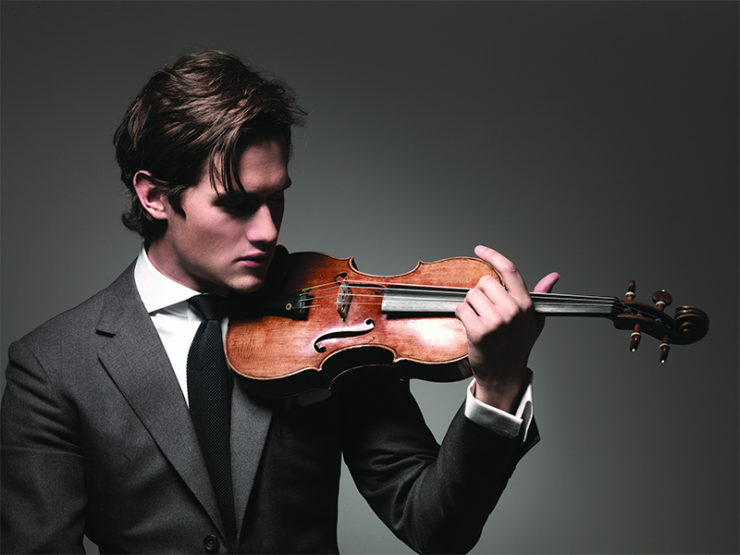 One of today’s most popular young violinists, Siem works with many of the world’s finest orchestras (such as the London Symphony Orchestra and Rotterdam Philharmonic Orchestra), and conductors (including Charles Dutoit, Edward Gardner, Yannick Nézet-Séguin, Sir Roger Norrington, Libor Pešek and Yuri Simonov, amongst others), and his regular sonata partner is the renowned pianist Itamar Golan. He holds an international recording contract with SONY Classical. 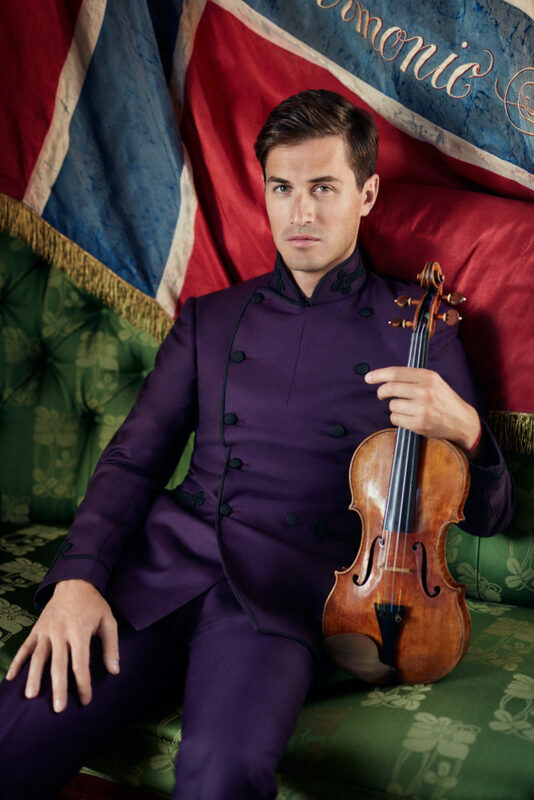 Passionate about bringing classical music to new audiences around the world, Charlie Siem has also had numerous violin-inspired collaborations with fashion brands including Armani, Chanel, Dunhill, Hugo Boss, and Dior. 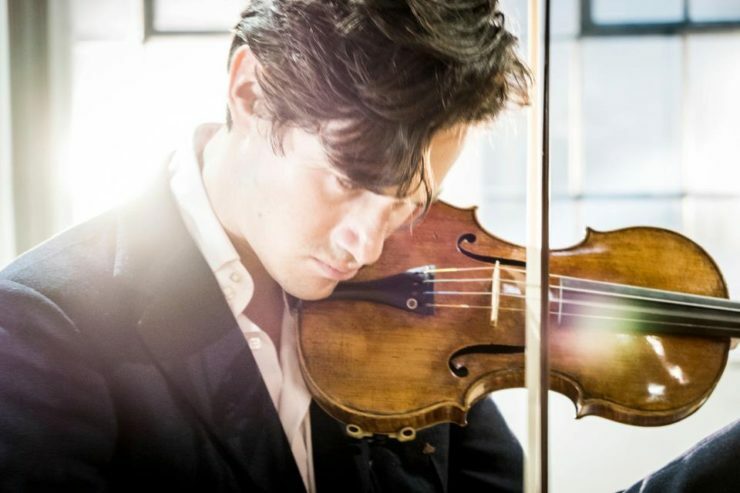 On 27 December Charlie Siem performs in recital with his sonata partner, the internationally acclaimed Itamar Golan, at Schloss Elmau, Germany. The evening concert will feature works by Beethoven, Bloch and Kreisler, and marks the end of a busy 2016 for Charlie Siem. For full details and ticket bookings, please visit the Schloss Elmau website. 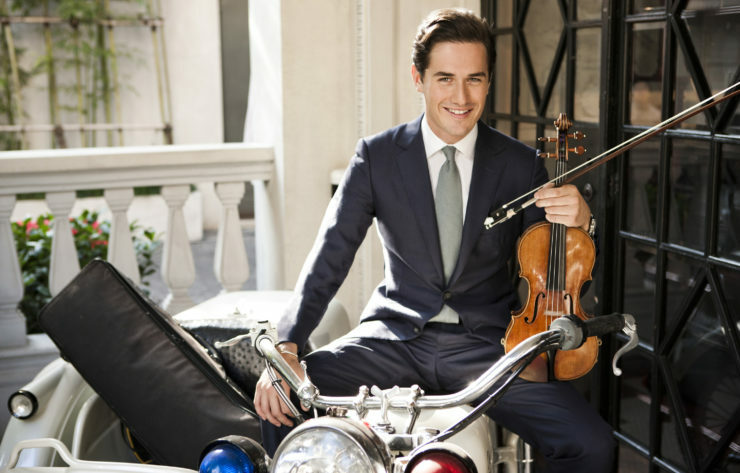 Charlie Siem performs at the Teatro dal Verme with the Orchestra dell’Opera Italiana conducted by Matteo Pagliari on 16 December. Charlie will perform a virtuosic programme of Sarasate’s Zigeunerweisen, and the Kreisler orchestration of Rimsky-Korsakov’s Hindu Song from the opera Sadko. 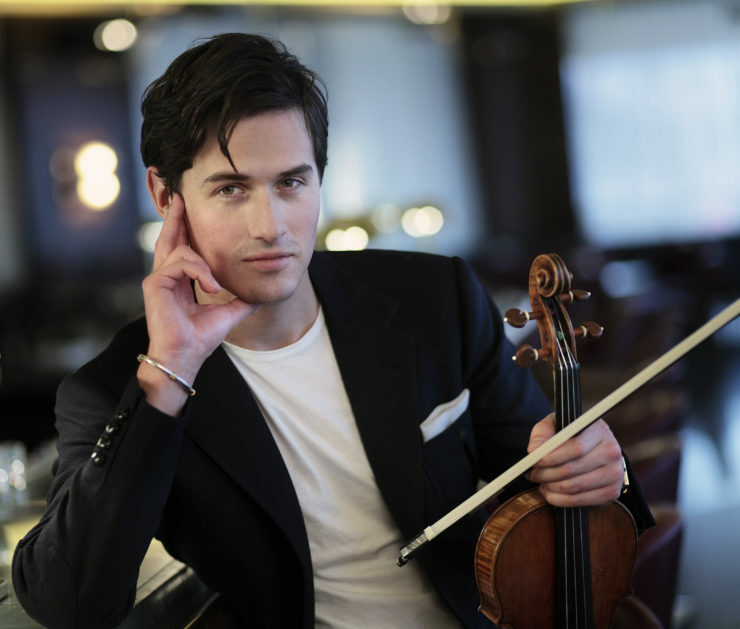 Charlie Siem will be returning to China to perform the Bruch Violin Concerto with the Royal Philharmonic Orchestra conducted by Charles Dutoit. This concert will take place on 7 November at the Nanjing University of the Arts, where he is also a visiting professor. As well as the concert, he will be giving a masterclass to the students of the university and will continue to fulfil his role of being ambassador of Nanjing Week 2016. Organised by Amethyst Performing Arts Management. Charlie Siem is joined by pianist Alison Rhind on 27 October, for a recital performance at London’s JW3. The dynamic programme includes Vitali’s Chaconne, Beethoven’s Violin Sonata No. 9 Kreutzer and Grieg’s Sonata No. 3. For full details and tickets, please visit the JW3 website. Charlie Siem will be performing in the closing concert of the Internacional Festival de Santa Lucia, Mexico on 2 October. This concert will take place in the Explanada de Los Heros where Charlie will be playing the Brahms Violin Concerto in D major with the State Orchestra conducted by Antonmario Semolini. More information about the festival can be found here. Whilst in Mexico, Charlie will also be giving a Masterclass at the Escuela Superior de Musica. Charlie Siem travels to China this September for a series of four recital concerts, accompanied by acclaimed pianist Caroline Jaya Ratnam. The tour will feature performances in Nanjing’s Zijin Grand Theatre on 2 and 3 September, Xiamen’s Banlam Grand Theatre on 9 September, and Beijing’s Concert Hall on 10 September. The duo will be performing Beethoven’s Kreutzer Sonata, Grieg’s C minor Sonata, and Sarasate’s Zigeunerweisen. In addition to these concerts, Charlie will also give a number of masterclasses to students in both Nanjing and Xiamen, and has been named the Cultural Ambassador for Nanjing Week 2016 (taking place in London, 19-23 September). Organised by Amethyst Performing Arts Management. Charlie Siem has been named Artist of the Month by Interlude Hong Kong. Read an in-depth article written by Oliver Pashley here.